As always we value your time so below you will find an overview of Brookside Crossing Apartments many features & rental information. 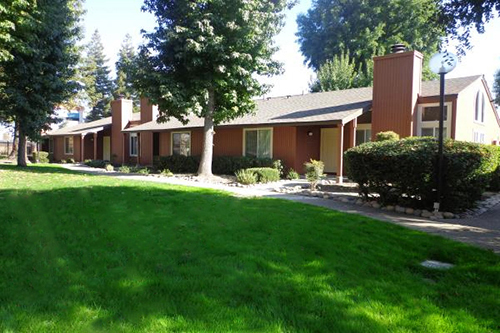 Allow us to assist in making your search for a Stockton, CA apartment for rent a simple one. It is our endeavor to provide a site that covers all of the important information every prospect tenant would want to know about our apartments which includes Brookside Crossing Apartment Floor Plans Info, Community Amenities, Currently Available Apartment Units, Photography & Virtual Tours that make getting to know your new apartment home convenient as a click of the mouse. Don't hesitate to call us today at (209) 952-5577. We take pride in our appearance! The beautiful landscaping mature trees and park-like atmosphere will have you wishing you could always stay home! Our maintenace team is timely and thorough! You will be treated with kindness by every member of our staff. No matter if you are apartment searching or a current resident we will be happy to help! Unwind by taking a stroll around our beautiful property lounging in one of our two sparkling pools or relaxing in the spa. You will also have unlimited access to our 24-hour fitness center! Whether you are looking for a traditional apartment layout or something with the convenience of a house our functional floor plans will have everything you are looking for!